So much to report, so little time to write posts! I’ve been helping my parents with lambing, and it’s been busy. Lots of work, not much sleep and no internet. Yes – it’s as grim as it looks! Certainly not a Connievan. This is my view when brushing my teeth. These are the ewes that have lambed already. They lamb out in a field unless they need help, and then are brought into the barn for a night or two so that we can keep a closer eye on them. When they’re nicely bonded and feeding well, they are moved into a holding area and let out into another field during the daytime. 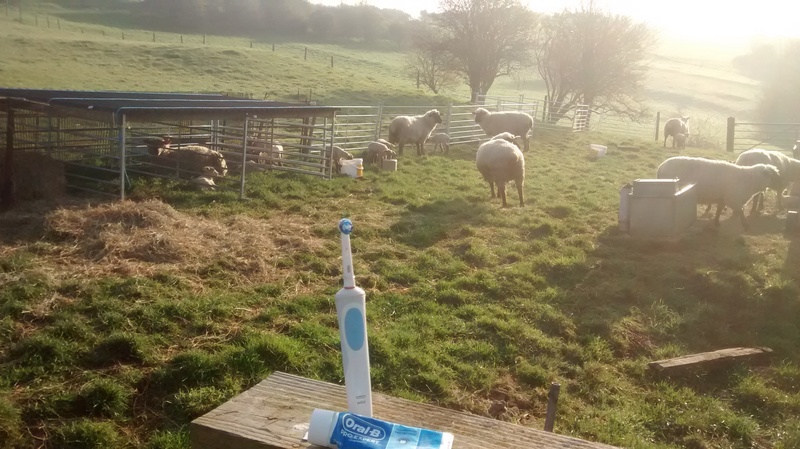 It’s a bit labour intensive, but a good, natural way for the sheep. 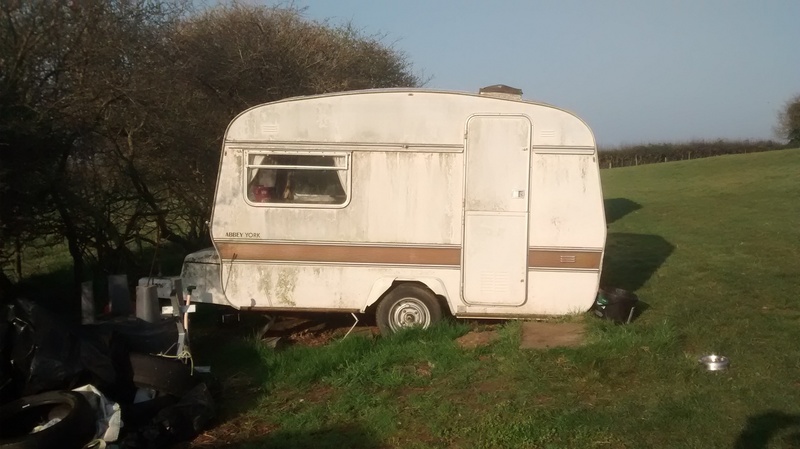 The downside is that my parent’s house is a good 10 minutes drive from the fields so at least one person gets to stay in the caravan for the duration. I go over for as long as I can to give my parents a bit of a break. It’s mostly a lot of fun, although not so great in the rain. Spinning for my onion jumper was completed in the nick of time, and I’ve knitted a repeat and a half. Photos to follow. I also had some very exciting results from some lichen dyeing – that’s another unwritten post. Oh, and I toiled a prom dress. I’ll get there. Leaving my family to fend for themselves means an overflowing washing basket and a sharp drop in the already questionable standards of cleanliness in the household, so a bit of catching up is required.